What is Thai food like, if you ask? Certainly, food resonates the people, its culture, values, attitudes, ingenuity, environment and such realities. For Thai people, their food means "intricacy, attention to details, texture, color, taste, and theuse of ingredients with medicinal benefits, as well as good flavor" (The Principles of Thai Cookery, McDang). Some Thai food experts say that although Thai food give a balance taste, it offers taste that interplay. The experts say Siamese food has about four to five fundamental tastes: sweet, bitter, sour, salty, and spicy. It means that Thai food is not simple and not about simplicity. It is a juggling of various elements that is perfected resulting a harmonious finished product. Yes, you could say that it is like a combination of strings and musical instruments that produce the sound of an orchestra. You cannot exactly tell with ingredient or element that creates a particular taste - you can only guess - because a specific taste is a product of all those ingredients combined. Just like in most countries, one cannot exactly claim that a particular country's food comes from only one region or culture. Similarly, Thai cuisine can be claimed to be coming from four regions regions in the country. These regional cuisines include: Central Thai cuisine, Isan or northeastern Thai cuisine, Northern Thai cuisine, and Southern Thai cuisine. The Central Thai cuisine can be influenced by wet rice-growing plains and the culture of original settlers before the arrival of Thai groups. 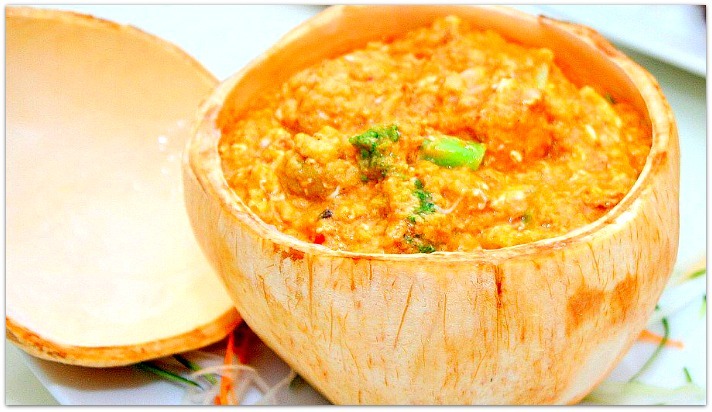 The Isan or northeastern Thai cuisine is influenced by dry environment, culture of Laos and the Khmer Empire. The Northern Thai cuisine is influenced by green valleys, cool forest of the highlands and home of the ethnic Thai people. 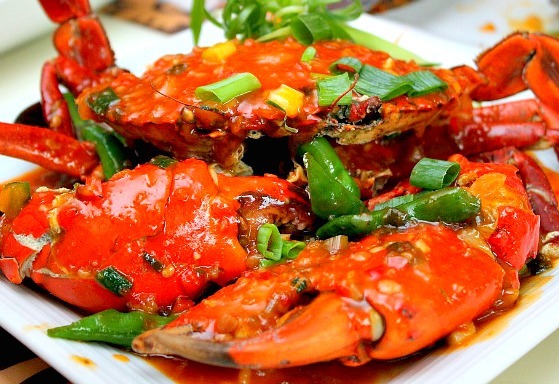 And, the Southern Thai cuisine is influenced by the two sides of tropical seas, many islands, ethnic Malays. In general, Thai cuisine can also be described as the result of its neighbors mutually influencing each other in the course of history. For example, you can say that Thai cuisine shares many resemblance with Burmese, Laotian, Cambodian and Chinese dishes. Traditionally, just like the Indian does, Thai food is eaten by hand, the right hand particularly, while you seat on a mat on the floor. But, nowadays, you will mostly see that Thai food is eaten using chopsticks, which I think an influenced from its neighboring country - like China. Tables and chairs started to be used when the Western culture was introduced into the culture. Some say that the use of fork and spoon were introduced when one of their kings returned from his trip in Europe in the 19th century. Personally, I have tried Thai cuisine in various places including in Thailand itself when I attended an international meeting in Bangkok. Using chopstick could be challenging to some beginners but not for me since I've been using it since I visited South Korea. Now, enough for that background and chatter. 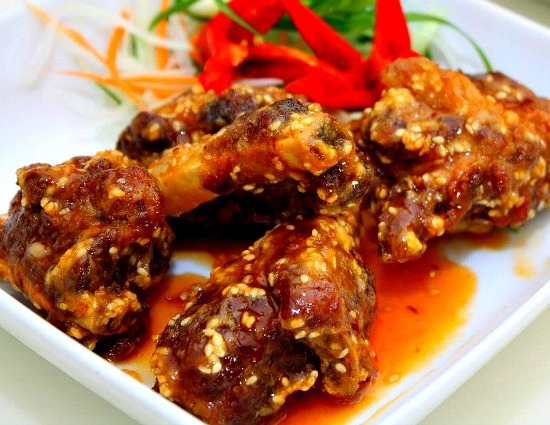 Let's check out Cebu's available Thai cuisine in some places. This Cebu Thai restaurant is located at the first floor of the terrace of Ayala Center, which is at the heart of Metro Cebu. The place is very well organized and looks accommodating with their waiters and waitresses indeed are doing great services. They have this dish called Phad Thai, which is their famous delicacy. A bowl of sweet noodles with some little peanuts and bean sprouts in it. Although this dish is not like other Phad Thai that has scrambled eggs around it, still it gives the best taste you can get. 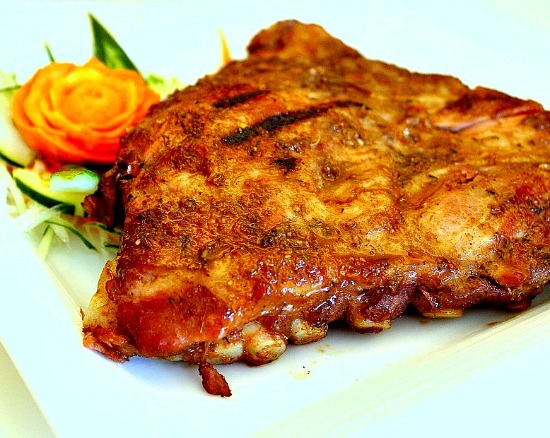 They also have Stewed Pork Spareribs; pork cuts simmer in vinegar, soy sauce and seasonings until it turns saucy. 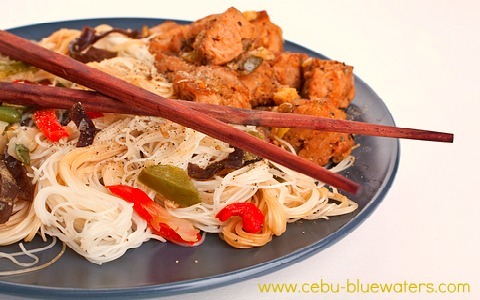 It is more like pork paksiw – a special Filipino traditional dish! They also serve Frozen Green Mango Tea that is made of green mango and mixed in frozen ice tea with some sugar. Overall, this place is amazing and you'll surely be satisfied with both their service and dishes. By its name alone, you would surely be tempted to try this place. This Cebu Thai restaurant is located at SM Cebu City, North Reclamation Area. About 300 pesos per meal is enough amount to get satisfied, that is if you have that estimated budget. You can also pay through cash or credit cards - Visa, MasterCard, and Amex - as their modes of transaction. Krua also serves Thai Salads such as: Tuna Thai Salad for 105.00 php (price may vary or change over time, please check…), Spicy Minced Chicken or Pork Salad, Spicy Beef Salad and a lot more. They also have different kinds of Spicy Soup, Individual favorites, Thai Noodles, Desserts and a lot more. Indeed they have lots of dishes to choose from and get satisfied, so try now and enjoy the Thai foods here at Cebu City. Phone: (032) 231-8338 for delivery and information with regards to their main course. For sure, there are more (Thai) restaurants being established in Cebu and in some specific areas in the province. Aside from the ones mentioned above, we have added more Cebu Thai Restaurants below for your choices. So, what else are you looking for? 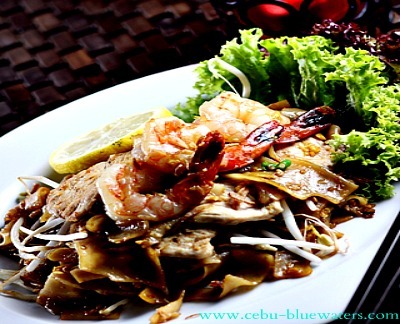 Try now and enjoy Thai cuisine in Cebu City.Who knows, this might be your greatest and sumptuous meal or food experience, in this provincial island. Be proud to say what you think and the help you can provide to others who haven’t tried Thai recipes yet! Good luck then and have fun!